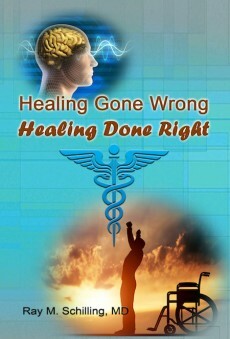 All medical material published by Ray Schilling, M.D. on his website is for informational purposes only. Although every effort has been made to research materials according to the latest medical knowledge, readers are encouraged to confirm the information contained herein with other sources. Patients and consumers should review the information carefully in conjunction with their professional health care providers who will always be solely responsible for their clinical management. The information of this medical website is not intended to replace medical advice offered by the treating physicians. 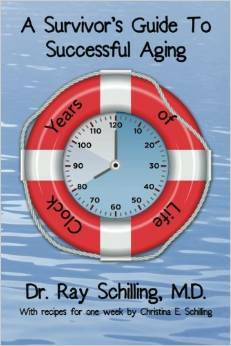 Ray Schilling, M.D. or the webmaster will not be liable for any direct, indirect, consequential, special, exemplary, or other damages arising therefrom. This medical website is founded on evidence based medicine offering up-to-date medical information. The links have been chosen exclusively at the discretion of the author to illustrate or deepen the information gained from the web site. There are no financial ties to any drug companies or to any of the products mentioned in this medical website (like under “Resources”). The editorial content is not influenced by any of the links in the resource section or by links in the text of blogs. We are in full compliance with the 8 HON principles as shown in this link. Advertisements are clearly marked. Presently one advertiser is used: Amazon.com. Income from this is used to defray some of the costs to maintain the website. We use banner ads that have a small label “Advertisement” attached to the frame. The content of the website is independent from the advertisers. My website does not accept text link ads or pop-up ads. There is no conflict of interest between the content of ads and the content of the website. Products that are mentioned in the site are only suggestions that in the experience of the author or based on a review of evidence based medicine literature would be recommendable for a clinical condition. However, patients are advised to discuss this and all other aspects with their health care providers. The laws that apply are those of Canada as this is a Canadian based Internet publication. The costs for creating and hosting this site are solely the responsibility of the author. We invite your comments. Please note that this platform is moderated by the owner of the website, a retired physician. It is expected that your comments contain relevant information regarding the content of a blog. Any spam will be removed. Both the users and the moderator must be honest and respectful. There is a zero tolerance for non-compliance to these rules. Regarding privacy concerns: e-mails are not recorded and cookies are not used. With regard to the 4th principle platform users are asked to give source information for the health/medical information when it is not personal experience or general knowledge. Personal experience is any symptom, test, treatment etc. that the person or a close family member has undergone himself/herself. All statements about statistics, data, studies and new advancement in medicine should have trustworthy sources. More details about this here. User of the platform must only post information that is true and correct to their best knowledge. This has been spelled out in more detail in principle 5 as can be seen here. 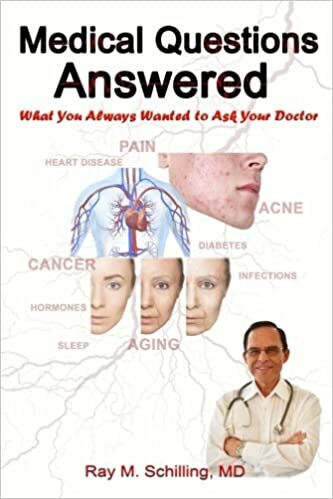 The website including the feedback section is a teaching aid to patients and should stimulate you to ask the right questions when seeing your doctor. However, the responsibility of treatment stays in the hands of your doctor and you. The users who will benefit from this website will be students and adults. Once the posts are placed, they are placed permanently. A user of the platform who made a relevant comment with which the moderator agrees can leave a link to their website, if this complies with the HON (health-on-the-net) principles, but no banner ads are allowed.